Development of this high-performance cruiser started in 1997, and Otto Funk developed the main wing structure with its special Fowler flap system in co-operation with the University of Stuttgart using its laminar wind tunnel. The rest of the airframe was designed by Peter Funk, whereby standard parts of the FK9 Mk3 were used as far as possible. 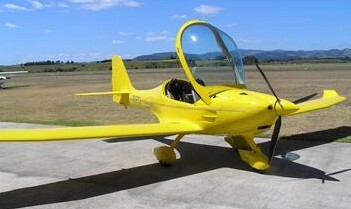 The construction of the Polaris began in 1998 and the prototype of the FK14 was flown first in May 1999. The FK14 is constructed in a mix of aluminium and fibreglass composite materials. 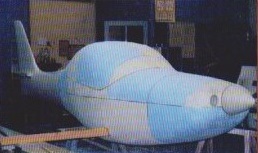 The cockpit area is built of a crash-resilient tubular steel frame. The wings have a composite leading edge, with spars of carbonfibre covered in sheet aluminium. Production of the airframes takes place in Krosno, Poland; assembly of the airframes and the final production of the aircraft in the factory in Speyer in Germany.